18 questions overall base level of history competences. Sort out the 45 US presidents by number. Pass through the territories of Napoleomic Wars. Interactive map of World War 2 historical events. Sort the artifacts and architecture of Rome and Egypt. Fun online history tests collection. This category includes online assessment history tests, as well as other tasks and quizzes, in which you need to choose a true item, a true picture, or a history-related action. Tests of 18 questions involving general knowledge of history. Historical riddles. Fun Historical Tests Collection. 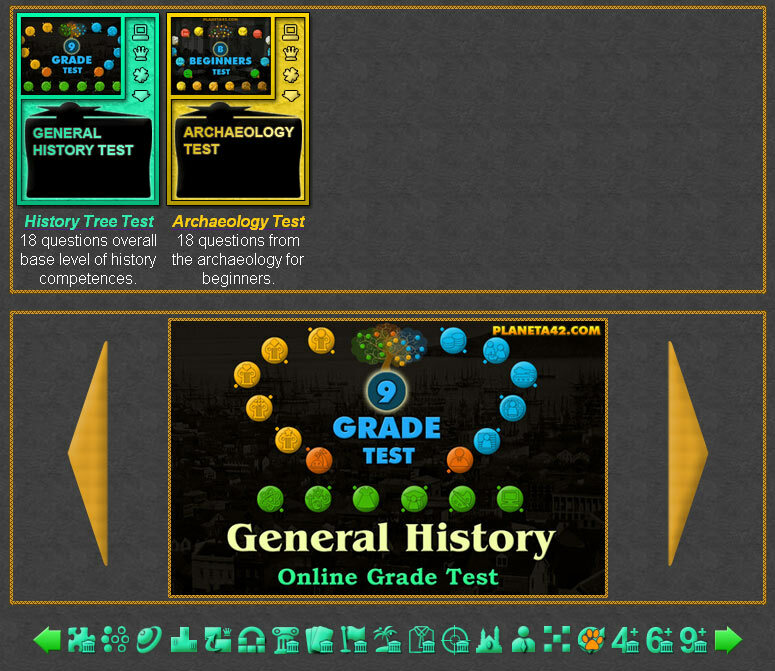 History Online Test - 18 questions online test for world history knowledge. Ancient Empires Rome and Egypt - Sort the artifacts and architecture of 2 ancient empires. Ancient Empires 2 Celts and Inca - Sort the history objects of 2 ancient civilization. Ancient Empires 3 Babylon and China - Divide the artifacts of 2 ancient civilization. Napoleonic Wars Game - Pass through the time scale of Napoleonic Wars. Russo Turkish War 1877–1878 - Interactive territory map of the Russo-Turkish War 1878. US Presidents Puzzle - Do you know all the presidents of America? WW2 Key Dates Quiz - Interactive map of World War 2 historical events.